It’s February, month of Valentine’s Day. Libraries often show off their romance sections during this month, but not everyone likes to read romance. 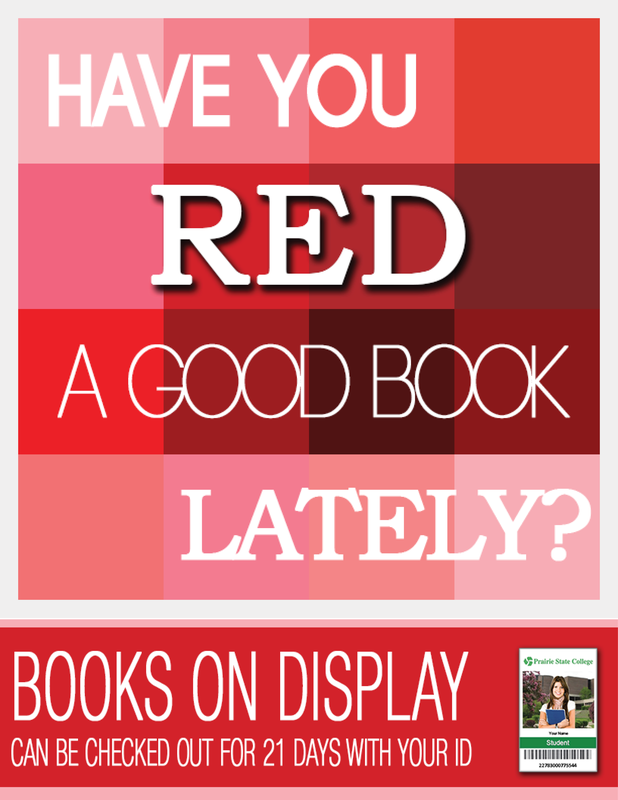 So this month, thanks to an idea by my Twitter friend, I went a new direction and put together a display of books with red covers, a Valentine’s Day color. You’ll find well known books (The Casual Vacancy by J.K. Rowling, the Original Sherlock Holmes, and a couple of Game of Throne books) along with other books that may pique your interest (Red by Sammy Hagar, The Plot Against Hip-Hop by Nelson George, or Telegraph Avenue by Michael Chabon). Maybe you like graphic novels. On the display are Wolverine, American Vampire, and Habibi. Or maybe you have kids that like to read. They can read Catching Fire, Why We Broke Up, or Al Capone Does My Shirts. I think there is a little something for everyone in this display. If you want help selecting a book from the display or another book to read, stop by your Prairie State College library and visit the librarians at the reference desk. Books on the display check out just like any other book in the library – for 21 days.